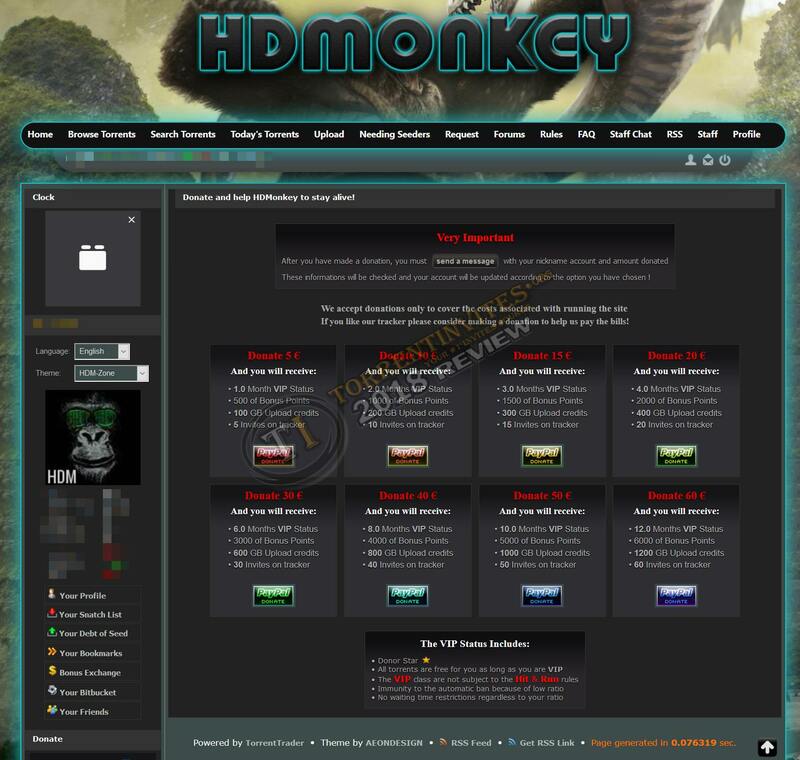 HDMonkey is an Romanian tracker that gives you the option to set the language to English. There is a radio that starts playing when logging in, but you do have the option to switch the radio off. Most torrents are OK seeded and downloads speeds can be better, the tracker also have adverts that can be distracting when browsing around. This tracker would be great for 1st time private tracker users to learn on how ratio is working. There are also many pinned torrents, that causes your 1st screen to be mostly pinned and only a few new releases to be shown. 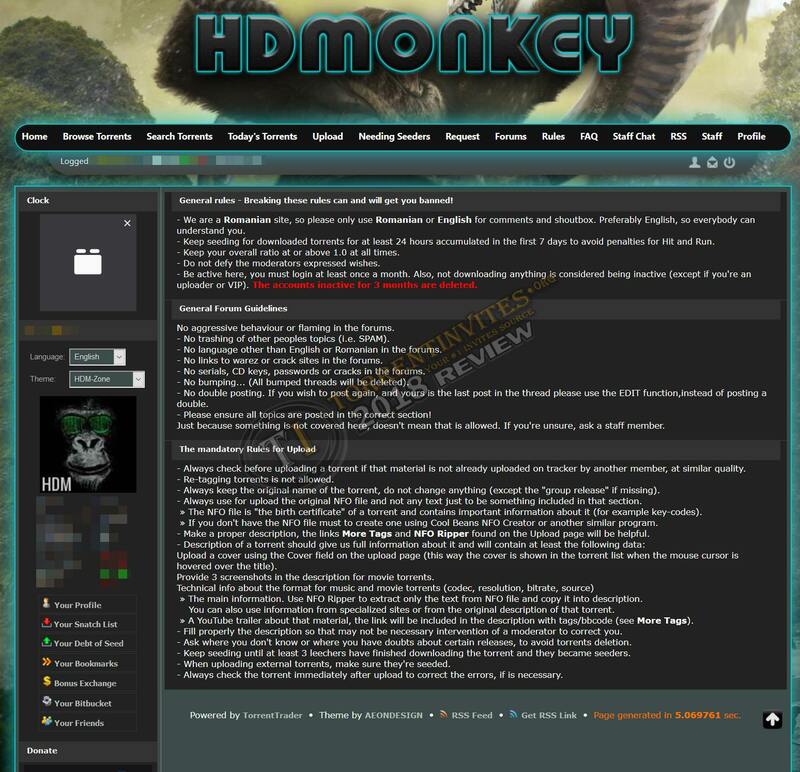 On a brighter note, there is many freeleech torrents that can help with ratio and there is a bonus shop available. TheTrader, matrixgar, jimmy7 and 9 others like this.